Our range of products include liquid flow control valves, diaphragm valve, 2/2 way globe control valve, angle seat valves, burkert solenoid valves and one way solenoid valves. 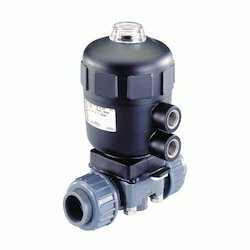 We offer a wide range of high quality of Liquid Flow Control Valves to our valuable customers. These products are widely used to control liquid flow, pressure, temperature, and liquid level by fully or partially opening or closing. These products are manufactured using latest technology and sophisticated plant machinery. These products are suitable for use with fluid and gaseous media that are neutral in nature. These products can be used in a variety of pressures and temperatures. These products are fully tested by our team of experts before being dispatched to our valuable customers. Pressure range 0-16 bar max. We have established ourselves as a reliable manufacturer and distributor of Diaphragm Valve. We offer this valve in large quantity to our valued clients within the promised time frame to meet their precise needs and requirements. Pressure range 0-10 bar max. Ambient temperature +60 oC, max. Widely appreciated and accurately designed 2/2 Way Globe Control Valve are now available in different dimensions. These devices are used to control fluid flow, pressure, temperature and liquid level by fully or partially opening or closing. We manufacture these valves by premium quality raw materials sourced from trusted vendors. We design these valves to give accurate measurement in diversified pressure and temperature range. All the dimensions are available at industry leading price. Seat leakage Shut-off class IV for St.st./St.st. IEC 534-4/EN 1349 Shut-off class VI for PTFE/St.st. We manufacture precisely designed Angle SeatValves and offer them at market leading price. 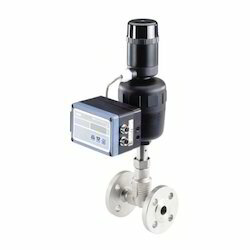 These valves are designed to control different process parameters involved in fluid flow. We design these valves for process industries. Our valves are used to control fluid flow rate, pressure, temperature and liquid level by fully or partially opening or closing. They are widely appreciated for their accuracy and problem free service life. These valves are applicable in chemical, fertilizer, pharmaceutical, food, beverage and petroleum industries. Pressure range 0-25 bar max. 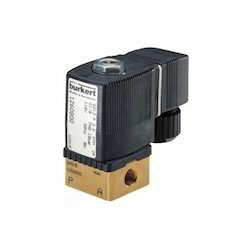 We offer Burkert Solenoid Valves for diversified range of textile plants. These valves are especially designed to dye yearns, fibers and fabrics. It is compatible to work with both natural and man made dyes. We also supply the accessories required in same process. Our valve is cost effective and offer maintenance free service life. Ambient temperature +55 oC, max. 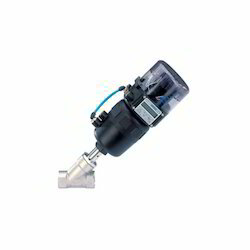 We are an established manufacturer, distributor and Trader of One Way Solenoid Valves that are highly acclaimed for their top notch quality and high durability. 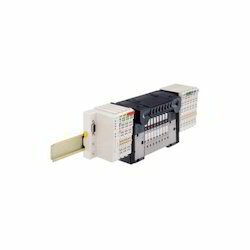 These Solenoid Valves are used in various industries and are known for fast and safe switching, high reliability, long service life, good medium compatibility of the materials used, low control power and compact design. We are one of the leading distributors, manufacturers, service providers, and traders of high quality Miniature Solenoid Valve. These products are used wherever fluid media and gases need to be measured, controlled and regulated. 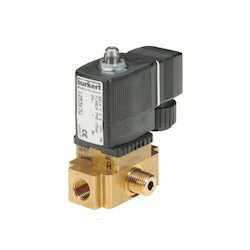 These products are widely used in fluid power pneumatic and hydraulic systems, to control cylinders. These products can also be used for fluid power motors or larger industrial valves, to produce similar effects. We offer effective after sales services to our valuable customers. These products are offered at standard market prices to our valuable customers. These products are manufactured using superior quality raw materials that are sourced by reliable vendors. 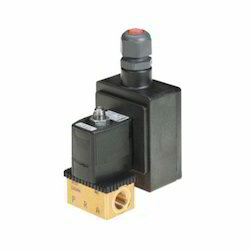 We offer high quality Pneumatics Valve to our valuable customers. These products are widely used in various industries to examine the effect of pressurized gas and compressed liquid to produce mechanical motion. We offer effective after sale services to our valuable customers. 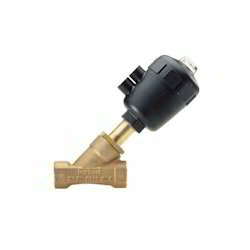 These products are uniquely designed using standard cylinders and other components that are operated via simple on-off control. These products are overloading safe and are available at standards market prices. These products are fully tested by our experts before being dispatched to our customers, to ensure high standards of quality. 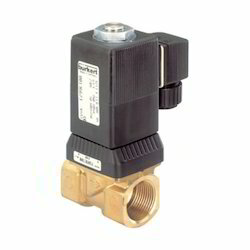 We are a leading manufacturers, distributor and trader of Two Way Solenoid Valve. Moreover, these Valves deliver precise performance and are designed by our dexterous vendors as per latest market demands and expectations. Featuring simple, compact designs as well as durable construction standards, these also allow for high cylinder operating speeds as well as providing reliable as well as maintenance free operations. 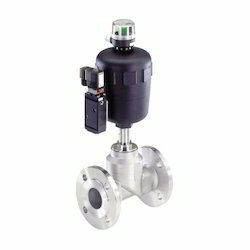 Looking for Process and Control Valves ?